Retail is competing for a whole new kind of talent. According to our data, “software developer” is the fastest-growing job in retail and the third-most popular job across the industry. Whether you’re in retail or not, this is yet another sign that the competition for tech talent is fiercer than ever. Retail is now one of the many industries shopping for engineering talent—and you can probably thank your online shopping habits for that. With online retail on the rise and brick-and-mortar stores closing en masse, e-commerce seems like a key reason why retail is suddenly lining up for tech talent. Read on to see how drastically these two parts of the same industry diverge, and why retail is joining a growing list of industries all competing for tech talent. Walking into a store and browsing products online are two totally different buying experiences (e.g., it’s only socially acceptable to do one of those in your pajamas). The talent make-up of online vs. traditional retail companies is just as stark a difference. Online retailers have 3x the proportion of tech talent, while traditional retailers have 3x the proportion of sales talent. A quarter (25%) of all employees in online retail are engineering and IT professionals, compared to just 7% of employees in traditional retail. The story of sales is almost the exact opposite: over 1 in 3 employees in traditional retail (35%) work in sales, compared to just 1 in 10 online retail employees (11%) in sales. Interestingly, all the other functions are almost exactly the same across the two types of retail companies. For both, operations makes up 14% of the workforce, support is 6-7%, and marketing is 6%. That means the talent makeup of both online and traditional retail are extremely similar—except when it comes to engineering and sales. The reason why retail as a whole is hiring more tech talent is that online retail in particular is skyrocketing. When we looked at retail companies with at least 100 employees, we found that new online companies are far outpacing traditional ones. Almost 300 such online retailers were founded between 2011 and 2015—more than double the number of traditional retailers founded during that time. 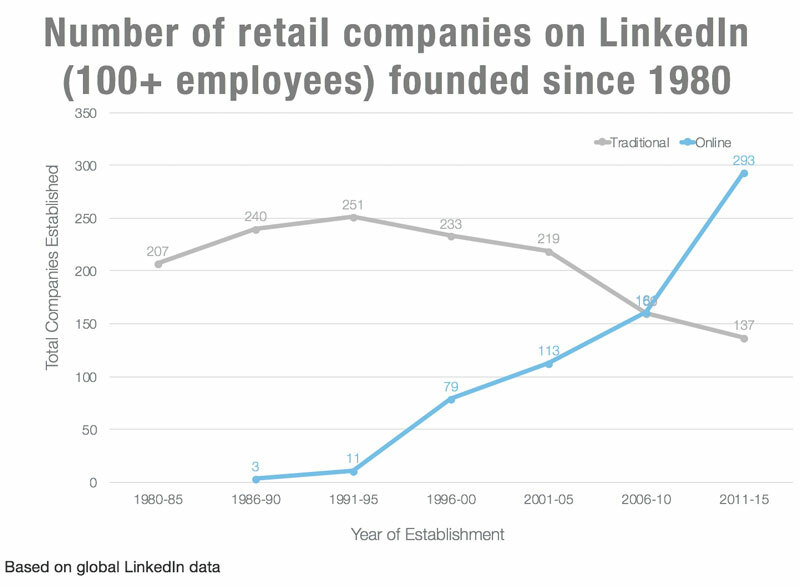 Note: data in the graph above is drawn from retail companies with at least 100 current employees on LinkedIn—which means it doesn't include any retailers (online or traditional) that were founded in this timeframe but didn’t survive long enough to make it on to LinkedIn. If these trends continue, we can expect a lot more online businesses, meaning the competition for tech talent will get even fiercer. Our last analysis showed how software developer was the fastest-growing job in retail—and today’s analysis shows why. Online companies are a lot more likely to hire tech talent, and online retailers are on the rise. Take those two trends, and you get one clear takeaway with consequences far beyond the retail industry: the competition for tech talent continues to heat up and doesn’t show any signs of cooling off soon. Insights on the retail industry’s new businesses, workforce composition, and size are drawn from LinkedIn’s aggregate data as of 2017. Functions are groups of similar job titles. Job titles are standardized to control for slight variations. 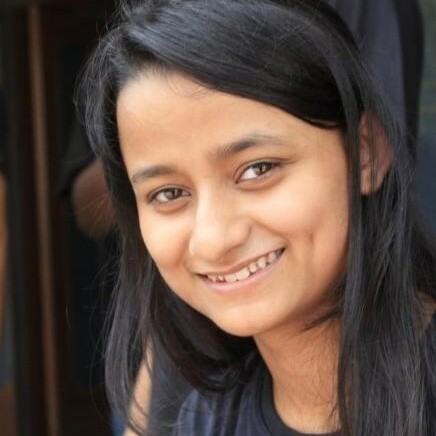 For this analysis, the retail industry comprises companies of at least 100 employees that sell general merchandise (e.g., supermarkets), sell speciality goods, or sell online as e-commerce businesses. Online retailers are those self-categorized as an internet, e-commerce, or m-commerce (mobile commerce) company.